You go, Le'Veon Bell's agent. 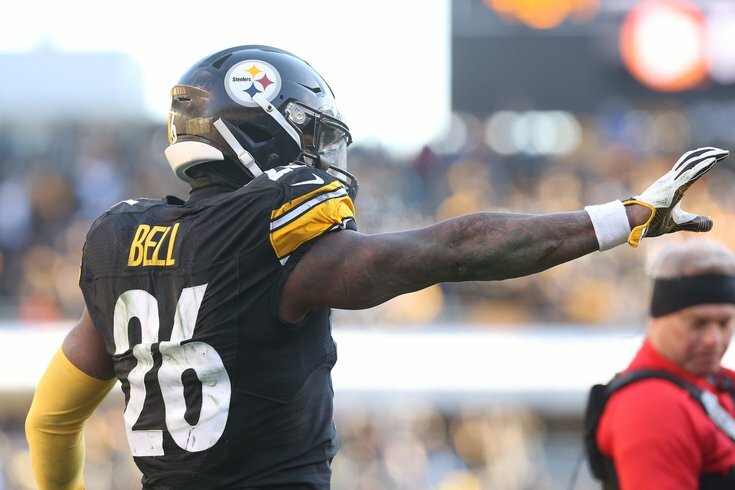 According to a report from Jason La Canfora of CBS Sports, the Philadelphia Eagles are interested in Pittsburgh Steelers running back Le'Veon Bell, seemingly on the premise that Howie Roseman likes to make trades. The Philadelphia Eagles are among the teams with interest in Steelers running back Le'Veon Bell, league sources said, and while no trades are close or imminent, and there would be obstacles to overcome, Howie Roseman is among the more aggressive and creative general managers in the NFL. Oh, and such a deal would be predicated on trading Nick Foles first to clear cap space. No big deal! The Eagles would likely have to clear some salary and cap space in order to facilitate taking on Bell's $850,000 a week salary, but they have trade candidates like backup quarterback Nick Foles who could play a roll (sic) in that. Philadelphia dealt for running back Jay Ajayi a year ago, but he is a pending free agent and is dealing with a back injury, while the backfield has suffered from other injuries as well. A trade for Bell is highly unlikely, as we pointed out in depth on Thursday. It just doesn't make much logical sense, from so many angles.